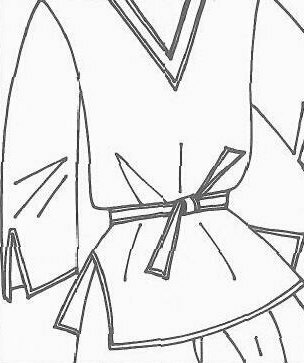 straight-cut, loose-fitting ladies' smock which reaches to the hip, has side vents, and is worn over a skirt. Has a belt at the waist. A typical part of a musketeer's attire as early as the 16th century, it was retained as a military garment until the 19th century.